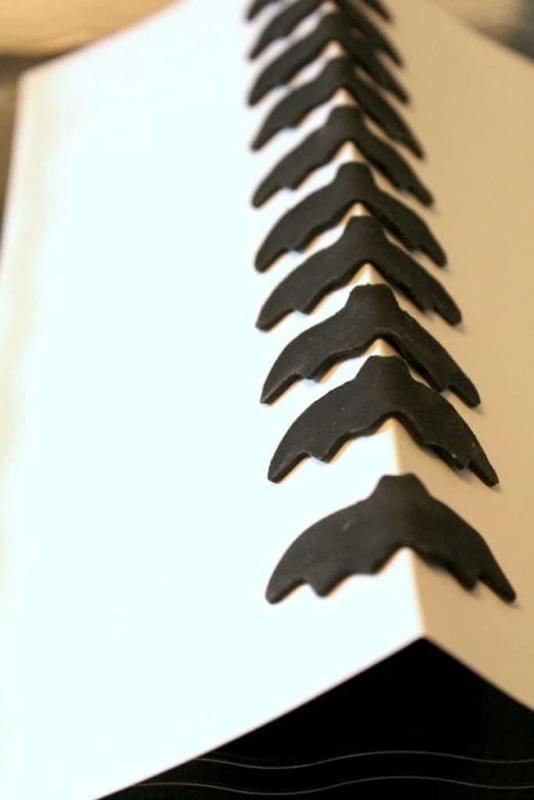 If you read my Summer Cupcake Topper tutorial post, you’ll remember my bat story. My mom was deathly afraid of bats. We’d go swimming at night and they’d swoop down to get some water. My mom would freak out, scream and dunk under the water. Of course, all of us would die laughing. We were so mean, right? Well, we just didn’t have this fear of bats like she did. 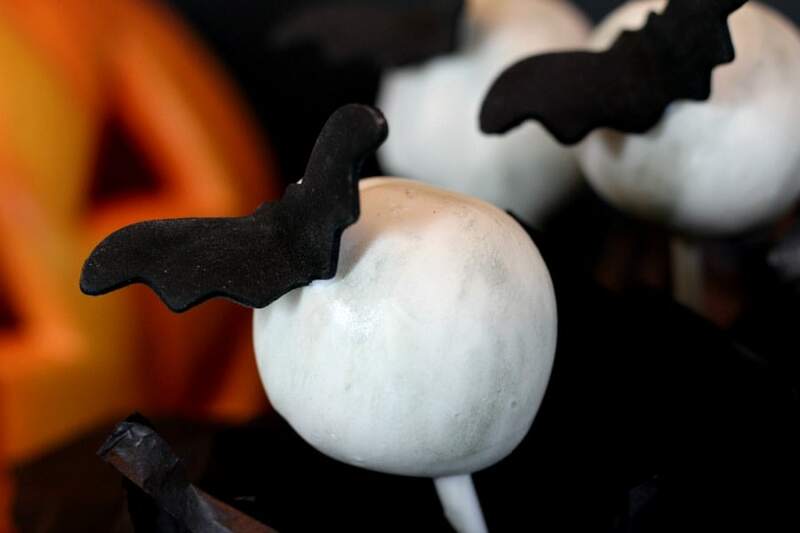 These cute little flying bat cake pops are nothin’ to be afraid of. They are super cute and delicious. Funny story…years ago I was working as a legal secretary and I also managed my boss’s rental property that was a group of apartments. We’d gotten a call that some of the renters had seen a bat here and there, so I called an arborist (who also dealt with bats for some reason) to deal with the problem. Well bats are protected and you aren’t allowed to exterminate them. Basically, you have to shore up your house or apartment, so they just can’t get in. The arborist and I walked around trying to see where they were coming in. We went down to the basement and there was a door at the end of it. It’s the door that gives you access to the under part of the entire building. I opened it and it was almost completely dark. I walked a few feet inside, felt a pole to my right and found a light switch. The whole time, the arborist guy is standing behind me. I flipped on the light and I swear to you, I had stepped into a horror movie. You know that sort of opera music they play in scary movies when something bad happens? I swear I heard that. All my hair stood up on end. There all around me, were hundreds of bats. I just stood there like a statue. The guy behind me said, “Turn around and come back through the door, close it and don’t make any sudden or loud movements.” Well, awesome…I was doing okay up until that point. So, I turned to the right, shut off the light, slowly turned around and walked back to the door. I shut it quietly and locked it (because bats can turn doorknobs, I guess). That, my friends, is the one and only time bats have truly terrified me. 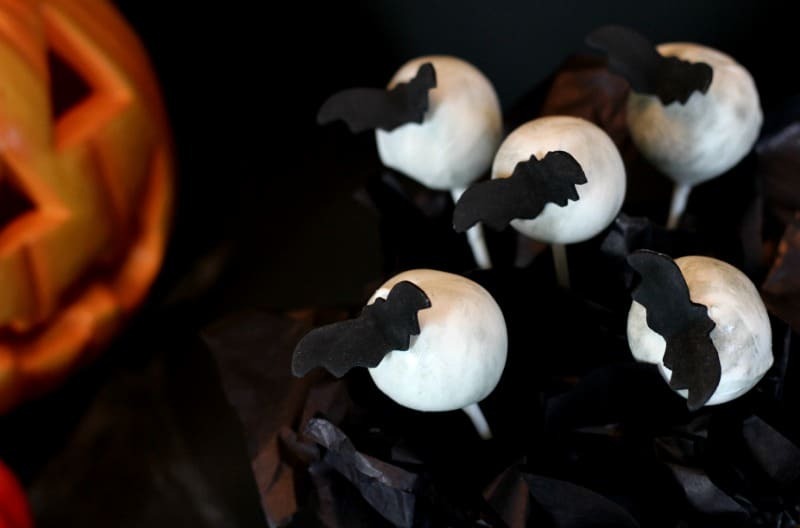 Now that I’ve sufficiently creeped you out…Let’s make some cake pops! 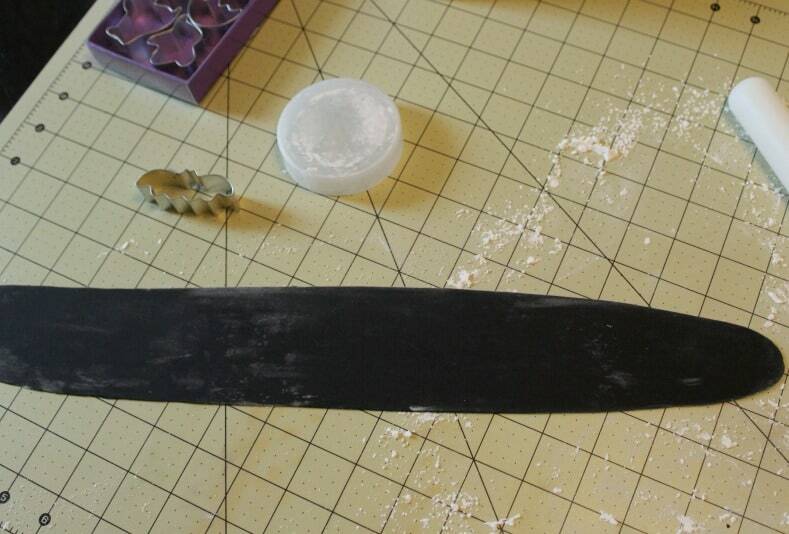 You want to make the bats at least several days ahead of time, preferably about a week before you’ll use them. They need to be completely dry. 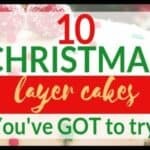 Take your black fondant and roll out a piece. I used a two on my pasta roller. You don’t want them thick, but you don’t want them paper thin either. 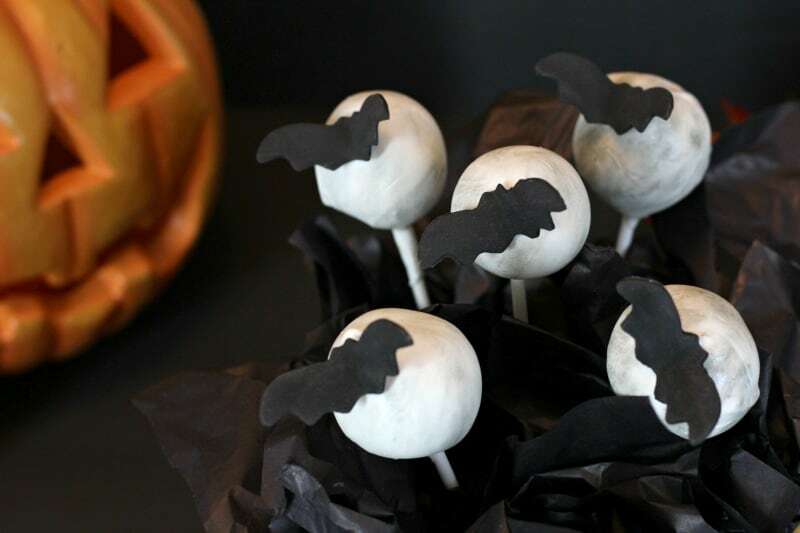 Take your mini bat cutter and cut out as many bats as you’ll need for your cake pops. You can either attach these to all your cake pops, or just some of them. You’ll need to make a few extra though in case some break. Once you get them cut out, place them (good side down) on a folded piece of cardstock. Leave them this way until they are fully dry. My basic recipe for cake balls is super simple. 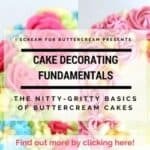 It’s basically about 4 cups of crumbled cake to a half a cup buttercream. You can choose any flavor combination you like. For this project, I went with all vanilla, because that’s my favorite. 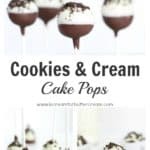 You can find my cookies and cream cake pop recipe here and my favorite vanilla bean buttercream recipe here. Just mix your cake crumbles with your buttercream and chill for an hour or so, then roll them into balls. I rolled my cake balls a bit bigger, so they would look like moons. If you roll them too big, they have a tendency to fall off the popsicle sticks when you dip them, so keep that in mind. 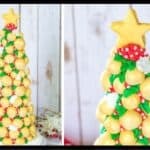 After you roll them, melt your white candy melts, dip one end of the popsicle stick into the melted candy and then insert into the cake ball. Chill for about 15 minutes or so. Once they’re good and chilled, heat up your candy melts again and start dipping away. If your candy melts are too thick, you can add a tablespoon of melted shortening and it’ll thin it a bit. Don’t add too much, or it’ll give the candy a weird crackled look. 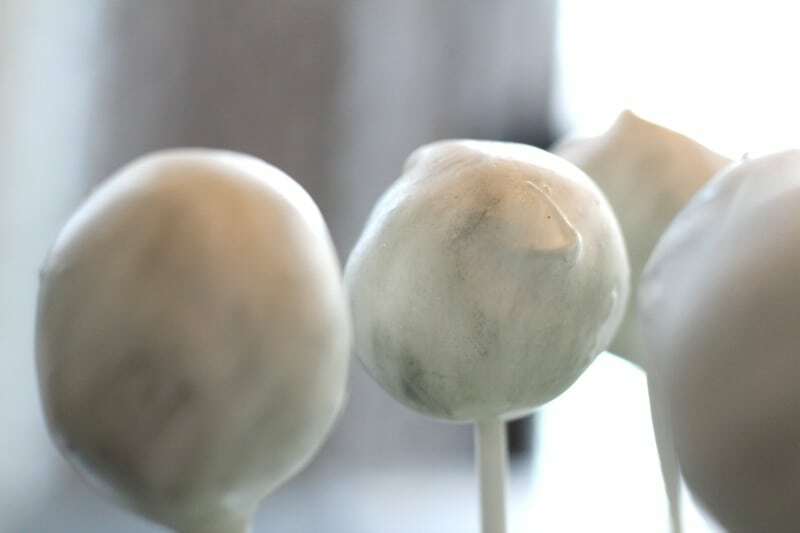 Place your dipped cake pops into a block of styrofoam and place into the fridge to firm up. Once the cake pops are firm, take them out of the fridge. Let them sit on your counter for at least 20 minutes. You don’t want any condensation on them when you go to add your petal dust. Sprinkle some of your black petal dust on a paper plate or paper towel. Take your paint brush and dip it in the dust. Brush most of the dust off your brush onto a paper towel. You don’t want much at all on your brush. Now, brush onto the cake pop in random areas. You can also go over those spots with the silver petal dust the same way. We’re trying to get them to look like little moons. Re-melt your leftover candy melts. 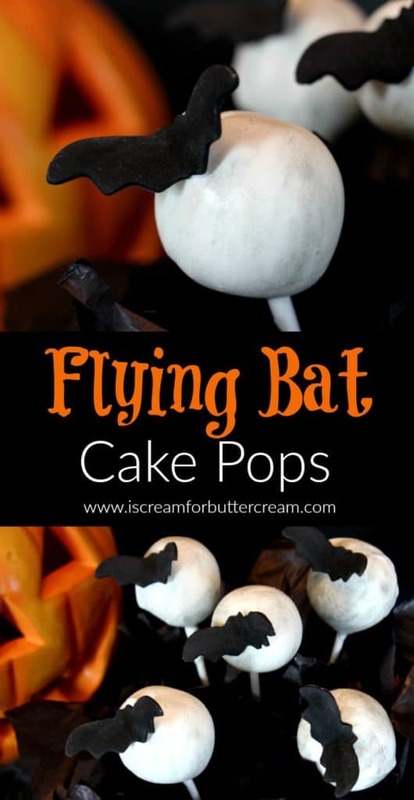 Take your bats, dip the body part into the melted candy and then attach to the top edge of the cake pop. You’ll have to hold them there for a minute or so until it firms up enough for them to stay put. Set them back into your fridge to firm up. There you have it! 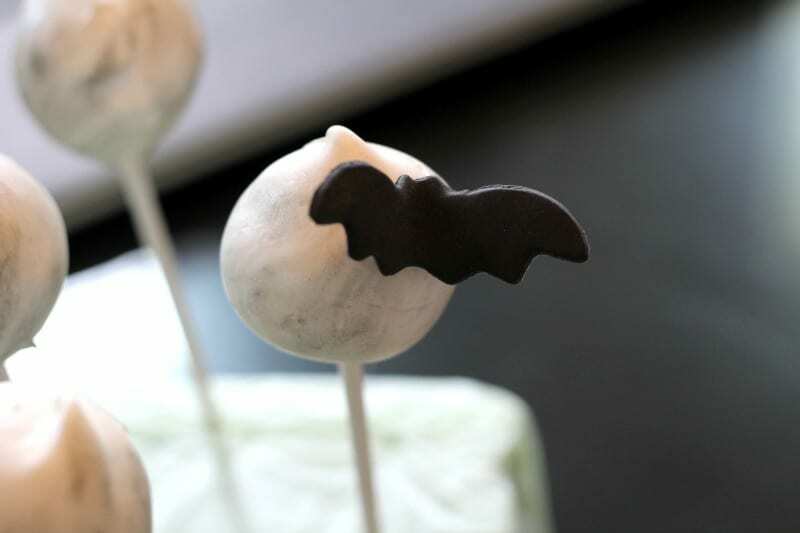 Super cute flying bat cake pops! These would be great at a Halloween party. It would even be a great project to do with the kids! Don’t forget to subscribe to the blog, so you won’t miss any updates!